How do I send a text message on m Office@Hand Mobile App? 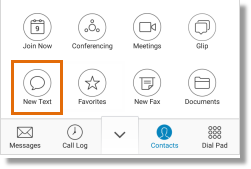 AT&T Office@Hand Business SMS feature enables you to send text messages using your Office@Hand account. Business SMS also works on your mobile devices, whether be it on Android or iOS. Log in to your Office@Hand Mobile App. 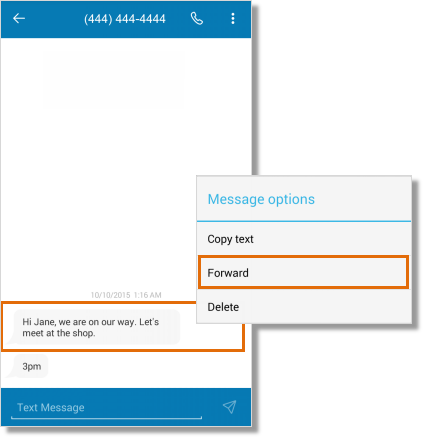 Enter the name(s) or phone number(s) of the SMS recipient(s) in the “To:” section, and then type your message. 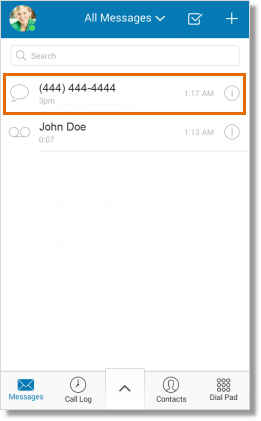 You can also click the Plus sign to select the SMS recipient from your list of Contacts. Note: When you enter multiple recipients from your Personal Contacts, the SMS will be sent individually. You will also see a reminder before you send the SMS message. 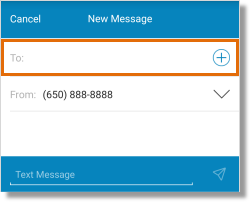 Group Messaging allows you to send a message to a call queue as well as to two (2) or more Company Contacts using the AT&T Office@Hand Mobile App. This can be done by setting the name of the Call Queue or having two (2) or more company contacts as the recipient of the text message. 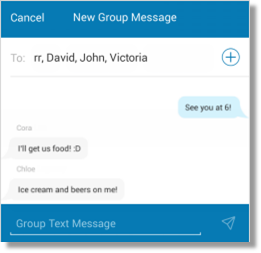 Recipients of the group message can respond with their message shown to the same group as a threaded message. 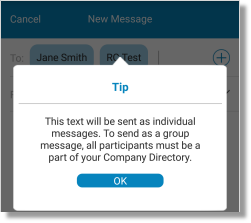 Group Messaging works only with Extensions and Contacts in the Company Directory. 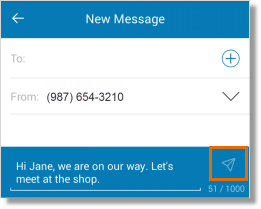 Messages sent to a Personal Contact will be sent as a separate message. Recipients cannot be removed or added once the Group Message has been created. 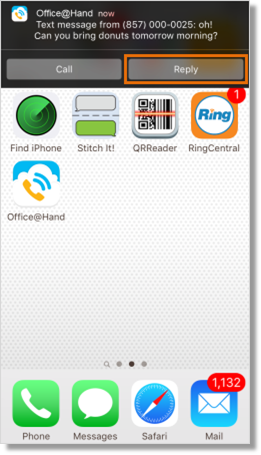 Launch your Office@Hand Mobile App. Open the message that contains the text that you wish to forward. Tap the text that you wish to forward, and then hold it until you see the Message Options. Tap Forward under the Message options. You will be re-directed to the New Message screen where you can edit and add to the message that you wish to forward. Enter the recipient’s phone number, and then tap Send. 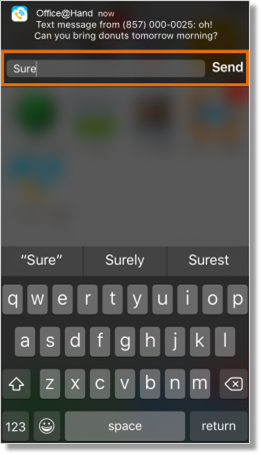 User can reply to a text message in the Notification tray directly in iOS 9 and later. When you are using your phone and a Text message comes in, tap on the notification, and then select Reply. Enter your reply, and then tap Send.